Therapies developed in the field of regenerative medicine have become an integrated part of treatment for musculoskeletal injuries in the horse. In the not so distant past, treatment of tendon and ligament tears was limited to stall rest and anti-inflammatories (Bute). Fortunately we now have biological therapies which can decrease inflammation and stimulate regeneration of hard to heal areas. At Sonoma Marin Veterinary Service, we routinely utilize several biological therapies that supplement the healing process in these injuries. Mesenchymal Stem Cell Therapy- Stem cells are a relatively new treatment to stimulate regeneration and decrease inflammation of damaged tendons, ligaments and bone in horses. After a thorough evaluation to identify the injury in the horse, we remove stem cells from the horse by taking a small sample bone marrow. This tissue contains the horses own stem cells, which are then propagated to larger numbers by the Regenerative Medicine Laboratory at UC Davis. After several days of propagation, we inject the stem cells into the injured tendon, ligament or bone. Once injected, the stem cells release proteins that stimulate the surrounding cells to regenerate, and also decrease inflammation in the area. Platelet Rich Plasma (PRP) - PRP is essentially blood plasma that has been enriched with platelets from the injured horse's body. A blood sample is taken from the injured horse and is centrifuged (spun down) to concentrate the platelets normally found in the blood. The concentrated platelet mixture is then injected into the area of disease or inflammation, and the cells degranlulate (break down), releasing growth factors and anti-inflammatory factors. 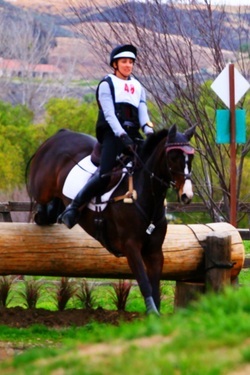 Pro-Stride- The latest in equine regenerative therapy. Pro-stride is an autologous protein solution (APS) separated from the horse's own blood. The separated components provide important healing and growth factors to treat joint inflammation and arthritis while also suspected to slow the degradation of joint cartilage (however, this concept is still being studied). Pro-Stride's superior modality is efficient and requiring only one treatment capable of providing pain relief up to one year. IRAP Therapy- IRAP, or "Interleukin 1 Related Antagonist Protein" is a new therapy that utilizes a protein from the horses own body to decrease inflammation in joints and other fluid filled areas. The IRAP protein directly decreases pain and inflammation by shutting down the body's own inflammatory mechanisms. Blood is taken from the injured horse, the blood cells are cultured and stimulated to release the IRAP protein, and finally the protein is extracted and injected back into the injured area. There are several benefits of IRAP over other joint therapies such as corticosteroids. IRAP is actually made by the injured horse's own tissue, and thus is not foreign to the hores's body, and it is gentile on the surrounding tissue, unlike corticosteroids, which can damage cartilage. Our regenerative medicine services can be performed at your horse's location. If you believe your horse can benefit from any of these therapies, please call to speak with one of our veterinarians.